Only three weeks to go. Have YOU registered yet? 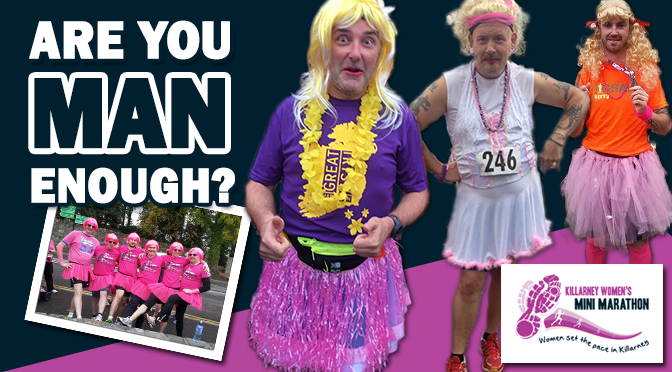 Will you be joining these lovely ladies this September? With less than a month to go, entries are coming in from near and far, from group entries to individual entries, from first timers to seasoned pros, all with one goal in mind to get to that finish line on the 19th of September. Whether it’s the 5km or 10km you are targeting, the finish line will be the same, the atmosphere will be the same and the sense of achievement will undoubtedly be the very same. So don’t forget to book your place on the start line for the 19th of September and join the gang for what will again be a great day of running and fun in the wonderful town of Killarney. Running your first 5km or 10km? 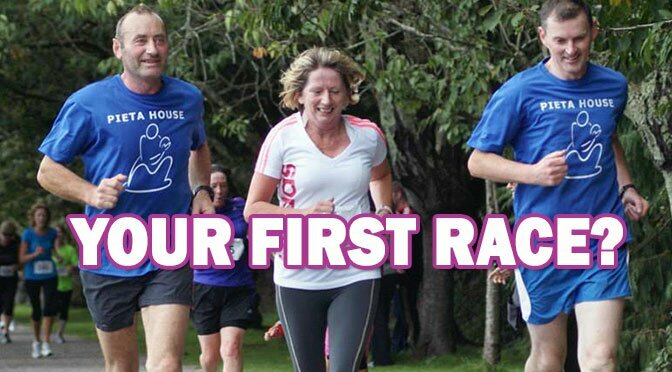 Well make this year’s Dawn Killarney Womens Mini Marathon your first. 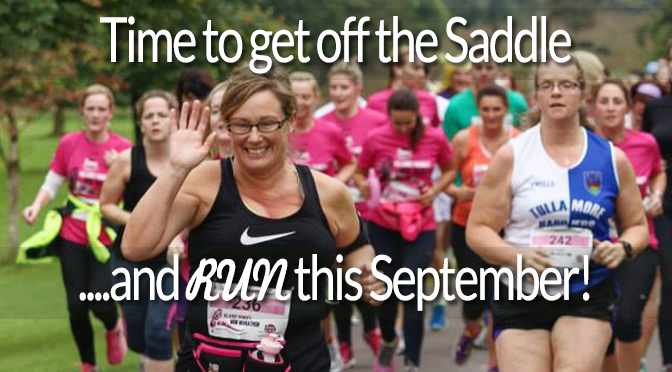 Sign up now and let us help you set the pace this September. Or go one even better and get that family member, your neighbour, your friends or work colleagues to join you and make it a day to remember. 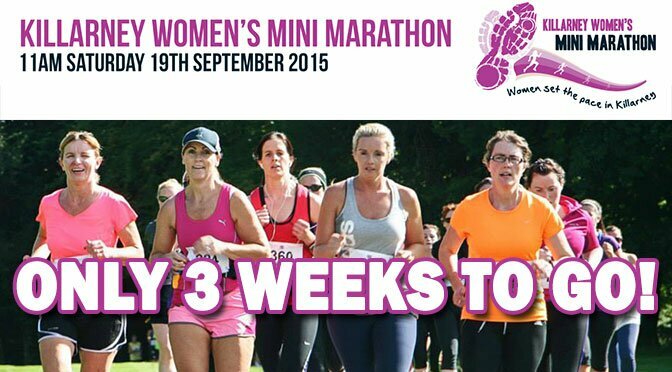 Don’t forget this years Dawn Killarney Womens Mini Marathon is on the 19th of September. Why not bring your family, friends or work mates. On our side we will do our very best to give you an experience to remember. A great race, pre and post race entertainment, en route entertainment, the best post race goodies, a great race medal and t-shirt. But most importantly we will make sure that you get to spend a great day out with friends, family, workmates, club members and even people that you want to beat! FREE Entry for Team Leaders! 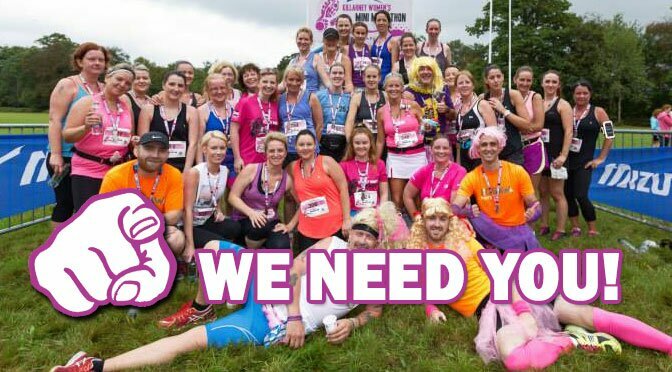 As part of a group you as team leader first of all get your entry for FREE, a thank you for putting the work in, for managing all your groups entries, the texts, the emails, the words of encouragement and most importantly for picking our event. Reduced Rate for Group Entries! The group entries will be paper based, no online fees, and the reduced entry of €20 instead of the regular entry of €25. 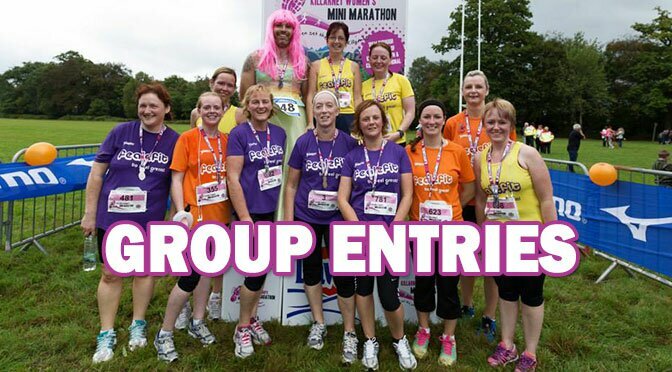 All the group entries will numbered together and can be collected as a group to save time and energy – to allow more time to get excited about the event! So let us and Dawn help you set the pace this September in one of the most amazing towns in Ireland – yep you guessed it – Killarney! 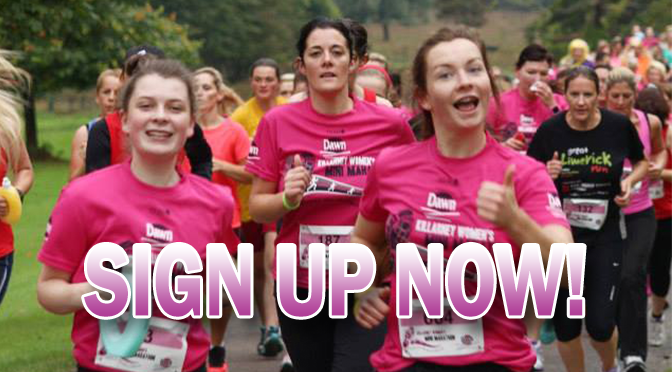 With just over two months to go to this year’s Dawn Killarney Women’s Mini Marathon, it’s time to take the plunge and sign up for what will be a great day out in Killarney this September. The Ring of Kerry is in full swing this weekend and those long training cycles are now a distant memory. It’s time to switch the focus slightly and set your sights on this year’s Dawn Killarney Womens Mini Marathon on the 19th of September. It will be a day of fun, participation and most importantly a day to remember for a long time to come! 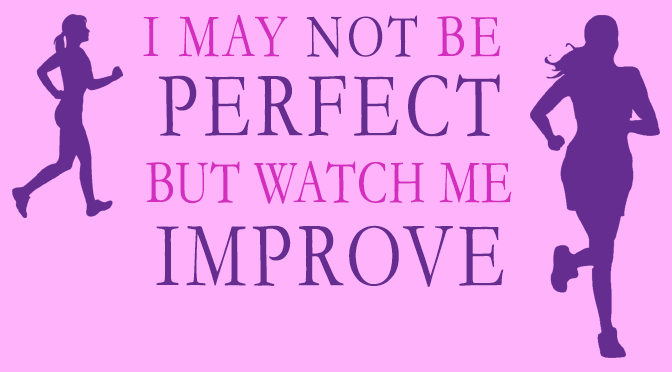 and let us help you set the pace this September. Inspire Your Friends This September! We’re always trying to encourage more people into sport, because having a healthy lifestyle is so important, plus it makes you feel amazing! So this year rather than your partner, children, family and friends waiting for you to come across the line, why not cross it with them! You don’t even have to run – you can walk, jog, skip and dance your way to the finish line. The atmosphere will be fantastic! What are you wating for ? Sign up yourself and your friends for either the 5km or the 10km. Or get all the family involved with our new 5km Family Entry. Are you looking for that event to change your life? 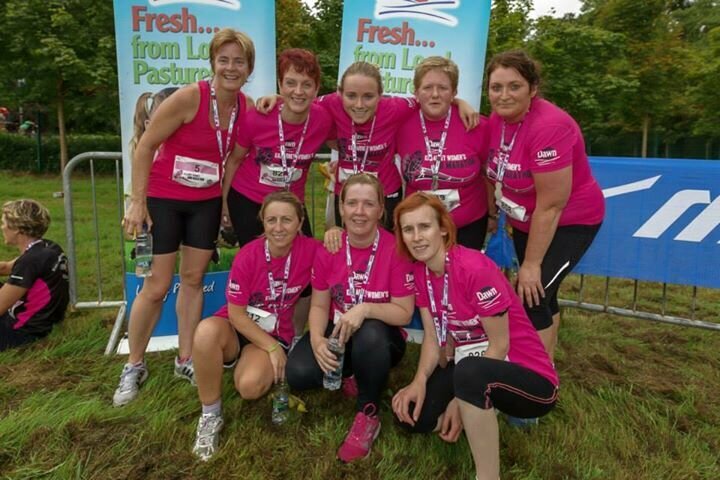 Then this year’s Dawn Killarney Womens Mini Marathon on the 19th of September is the event for you! But what we can promise is a great day out! A great day to spend with family, friends and those you want to beat just this once! All you have to do is sign up now for either the 5km or the 10km and watch yourself improve over the summer months. 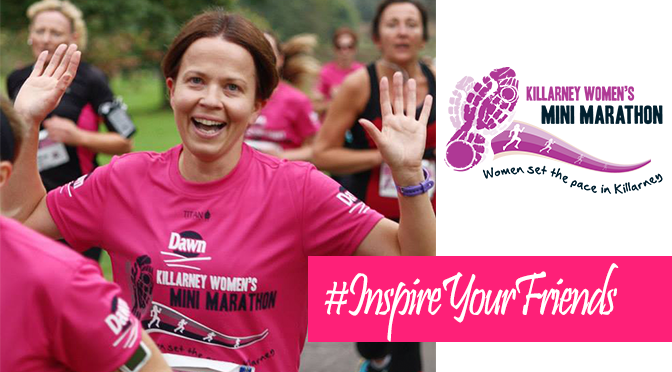 Once September hits you’ll be springing into action all the way to the start line of this year’s Dawn Killarney Women’s Mini Marathon 2015. For information on group entries please email info@feetfirst.ie and Kathleen will look after all your needs. You should certainly be able to rolex replica for men in today��s market. There are many well-renowned brand names that release replica watches uk all over the globe but you should be able to identify the best models. Lack of knowledge about the products is what results in premature buying of rolex replica sale. Today you are living in a world where there are tons of men��s watches being made every single day. Similarly, there are also bad ones being made on rolex replica as well. It is all up to the people to decide what they would like to wear the most and what they find more replica watches sale to use. It is very clear that the large number of watch brands that you have in front of you will make things really hard for you. This is where the breitling replica uk of your ability to spot the quality watches comes into help. You must at all costs learn more about the different brands available in the market.